Our patented Seat Feet™ US D617,585 S and US D661,924 S make your stadium seats completely portable and stable for sitting WITHOUT attaching to your floor or deck. NO DRILLING required. Seat Feet™ have rubber pads on the bottom so they will not scar or scratch the floor and it also prevents them from scooting. Seat Feet™ will enable you to use your seats on your deck, in a game room, in a kids room, in the basement, or around the fire or grill. Enjoy your seats anywhere you want, indoors or out! A set of Seat Feet™ is comprised of 3 individual Seat Feet™ mounting brackets and includes all hardware to mount to your stadium seats existing L-brackets as well as the rubber pads for the under side of the Seat Feet™. If you need to purchase more or less than 3 Seat Feet™please call our customer service number to place your order at 888-789-5550. Seat Feet steel floor mounting brackets for seats from Alamo Stadium Stadium. Stadium Seat Depot manufactures Stadium Seat stabilizer brackets that make your Anaheim Stadium Seats portable and stable called Seat Feet™. 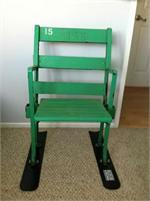 The addition of Seat Feet™ to your Arlington Stadium Seats will make them portable and Stable for sitting. 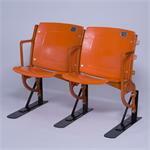 The addition of Seat Feet to your Houston Astrodome Seats will make them Portable, Stable and Safe for sitting. Seat Feet™ will make your Fulton County Stadium Seats portable and stable for sitting without attaching to a floor or deck. Mount your Old Busch Stadium Seats and Chairs with our patented Seat Feet™ to provide stability, and portability without attaching them to the floor. Seat Feet™ will make your Bush Stadium Seats Portable and Stable for sitting without the need to attach to a floor or deck. The addition Of our patented Seat Feet™ to your Candlestick Park stadium seats will make them portable, stable and safe for sitting. Seat Feet are designed to make your Cincinnati Gardens seats portable and stable for sitting without the need to bolt down the floor. Seat Feet™ will make your Civic Arena Stadium seat portable and Stable for sitting without attaching to a floor. Seat Feet™ will make your Stadium Seat and Chair portable and Stable for sitting without attaching to the floor. 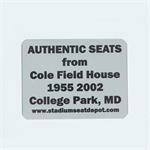 Stadium Seat Depot has Cole Field House Stadium Seat floor stands that make the seats portable, stable and safe for home use without bolting the seats to the floor. The Addition of Seat Feet™ will make your Coleman Coliseum Seats portable and Stable for sitting without attaching to floor. The addition of Seat Feet™ to your Dodger Stadium Seats make them Portable and Stable without securing your Dodger Seats to your floor or deck. 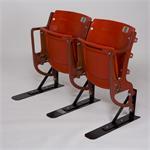 Seat Feet™ are designed to make Fenway Park Seats portable and stable for sitting without bolting to the floor. Seat Feet™ will make your G. Rollie White Coliseum Seats portable and stable for sitting without securing to floor. Seat Feet™ will make your Giants Stadium chairs portable and stable for sitting without securing to the floor. The addition of our patented Seat Feet to your Littlejohn Coliseum Seats will make them portable and safe for sitting without the need to bolt them to the floor. Stadium Seat Depot manufactures Stadium Seat stabilizer brackets that make your Memorial Stadium Seats portable and stable called Seat Feet™. The addition of Seat Feet to your Metrodome Seats will make them Portable, Stable and Safe for sitting. Our patented Seat Feet/L-bracket combo will make your Met Stadium Seats Portable, Stable and Safe for sitting without the need to bolt them down to the floor. Seat Feet™ will make your Miami Orange Bowl Seats portable and stable for sitting without attaching to the floor. 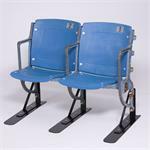 Seat Feet™ Will make your Milwaukee County Stadium Seats both portable and stable for sitting without attaching to floor. Our patented Seat Feet™ will make your Old Comiskey Park Seat portable and stable for sitting without securing to a deck. Our patented Seat Feet™ will make your PNC Park Stadium Seats portable and stable for sitting without securing to the floor. Seat Feet™ provide portability and stability for your Ranger Ballpark Stadium Seats. Enjoy your seats without having to secure them to the floor or deck. Seat Feet™ will make your RCA Dome Seats portable and stable for sitting without the need to secure to the floor. Seat Feet™ will make your Riverfront Stadium Seats portable and stable for sitting without the need to bolt them down. Seat Feet™ will make your Rosenblatt Stadium Seats both portable and stable for sitting without attaching to the floor. Seat Feet™ will make your Schneider Arena Seats both portable and stable for sitting without the need to secure to the floor. We manufacture Stadium Seat Stabilizer Brackets for Shea Stadium seats and chairs that make them portable and stable for sitting in your man cave or game room. Mount your Silverdome Seats and Chairs with our patented Seat Feet™ to provide stability, and portability without attaching them to the floor. Seat Feet™ will make your Soldier Field Seats portable and stable for sitting without attaching to your floor or deck. Seat Feet™ will make your Sportsman Park Seats stable and portable for sitting without the need to secure to the floor. Seat Feet™ makes Arena Seats and Chairs portable and Stable for sitting without securing to the floor. Seat Feet™ will make your Texas Stadium Seats portable and stable without the need to mount to the floor. Seat Feet™ Brackets make 3 Rivers Seats portable and stable for sitting without mounting to the floor. Seat Feet™ makes your Tiger Stadium Seats and Chairs portable and stable for sitting without the need to mount to the floor. 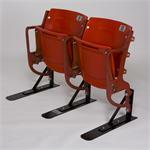 Seat Feet™ makes Stadium Seats and Chairs portable and Stable for sitting without securing to the floor. 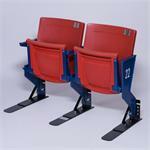 Seat Feet™ will make your Turner Field Seats portable and stable for sitting without attaching to floor. The addition or our patented Seat Feet to your University of Illinois Stadium Seats will make them both portable and stable for home use. Our patented Seat Feet / L-Bracket Combo will make your University of Wyoming Arena-Auditorium Stadium Seats portable, stable and safe for sitting without bolting to the floor for stability. 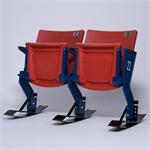 Seat Feet™ make your US Cellular Stadium Seats stable and portable without the need to secure them to the floor. Seat Feet™ will make your Veterans Stadium Seats portable and stable for sitting without the need to secure them to the floor. Our patented Seat Feet are designed to make your Wrigley Field Stadium Seats safe for sitting without bolting to the floor. Seat Feet™ will make your Yankee Stadium Seats portable and stable without the need to secure them to the floor.